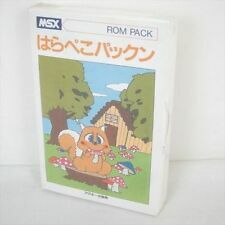 Home » Forum » MSX Talk » Development » gfx9k lib howto? I tried using gfx9k lib (0.70) to (get a head) start programming my V9990. It needs 'sjasm' as assembler. Any hints how to get this lib working? Perhaps it needs a newer sjasm? 0.4 came out in 2008.... at least I have some beta of it. The xl2s website has sjasm 0.42. Try that? Maybe a very specific version is needed? Iirc never sjasm version are not compatible with the one I used to make the g9klib. I have to check which version I used . msd: perhaps you can update the lib to use the latest sjasm? @manuel: if it still supports the same things . with sjasm 0.39g6 I can indeed assemble g9bview.asm, but when I create my own file a get the same errors again. Maybe its picky about file formatting?